Buying a car is a major investment. Excluding housing, a person’s car is usually the most expensive property he owns. Vehicles are also costly to repair and maintain. For this reason, most people do not purchase a car without careful consideration. So what happens when you spend all your savings on a “safe and reliable” new car that turns out to be a piece of junk? Fortunately, there are consumer protection laws in place to protect unlucky car buyers from being stuck with a car they can’t drive. A “lemon law” is a state law intended to help consumers that unknowingly buy a product that fails to meet industry quality standards. The term “lemon” is most commonly used when talking about motor vehicles, but could also be used to describe appliances, machinery, and any other product that turns out to be a dud. Every state has some version of a lemon law, but these statutes can vary substantially from state to state. Unfortunately, some car dealerships will try to take advantage of a customer’s ignorance of the law. 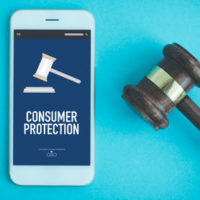 It is important to understand the customer’s rights and the manufacturer’s responsibilities under the lemon laws in your state. while the car is still under express warranty. The dealership must be given several opportunities to fix the issue. If they cannot repair the vehicle, or they keep your car in the shop for service for more than 30 days, you may be entitled to a comparable replacement vehicle or a full refund. What Is Excluded from Pennsylvania’s Lemon Law? the defect is too minor to impair the normal functions of the vehicle. If your vehicle is not covered under Pennsylvania’s lemon law, your purchase may still be protected under a different statute. For assistance filing a claim under the Pennsylvania automobile lemon law, contact Louis S. Schwartz at CONSUMERLAWPA.com and his team of experienced consumer law attorneys. To schedule your free initial consultation, call our Philadelphia-based office at (215) 790-1800 or submit a contact request form on our website.